For the second time in as many years, John Tamny has produced a highly readable, thoroughly enjoyable book. 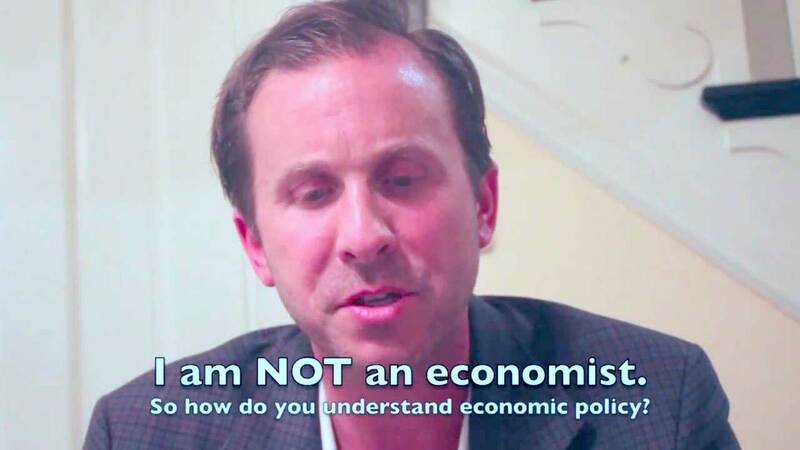 If you have not read Tamny’s first offering,Popular Economics, you should, though it is not a prerequisite for his latest work,Who Needs The Fed? : What Taylor Swift, Uber, and Robots Tell Us About Money, Credit, and Why We Should Abolish America’s Central Bank. Many of the things that follow here in this review, are the same things that are enjoyable inPopular Economics. John Tamny is setting himself apart when it comes to writing about economics. He did that a while ago, now he is just verifying his status. His writing is clear. His examples are succinct. He reiterates some of his points often, and this is great. He does it simply and concisely, this is what a good teacher does. In his Foreword to open the book, Rob Arnott says, “In their clarity and depth of insight, Tamny’s writings remind me of Jude Wanniski’sThe Way The World Works.” Arnott is exactly right. Before he begins his dissection of the Federal Reserve, Tamny offers up a simple and profound truth which really starts to lay the groundwork for his argument, “Neither one genius nor a collection of geniuses could ever properly process the infinite decisions occurring in the marketplace every millisecond.” This discussion begins just after a very interesting introduction that involves Uber, a Taylor Swift concert and basic economic principles. The reader is taken on a trip down memory lane reading about college football and some of the great coaches of recent years. Tamny helps us re-live some interesting eras in the sport, recent eras already pushed out of our minds. All of sudden, there’s a mention of Ludwig von Mises and his bookHuman Action. Are we still reading a book about money and credit and freedom? Most definitely. The chapter that talked about college football was detailed and specific enough that the points Tamny made, are brought up at various points later in the book. One former football coach at the University of Michigan will not want to read Tamny’s book. John Tamny is a serious thinker, along with being a great writer and teacher. He offers a commentary on what traffic would be like if governments got out of the business of road building. Later, Tamny discusses the FDIC and deposit insurance. Tamny’s solution seems so obvious, yet this writer had never heard it before. It is easy to see a theme here of less government and more freedom. Let markets work and do what they do. As Tamny points out, “The free market is infinitely smarter than the wisest collection of Fed minds on their best day.” Tamny even calls the Fed a “barrier to prosperity on its worst days.” This premise leads to some interesting stories and raises many intriguing questions. Did you know that Citibank has been bailed out five times in the last twenty-five years? Tamny explains. Curious why Citadel, a hedge fund operator in Chicago, would hire Ben Bernanke after he left his post as Chairman of the Federal Reserve? You may think you know, but the real answer will probably surprise you, and probably make you laugh. We seem to hear horror stories about recessions. Recessions sound terrible and the news media has done their part to make us fearful. Slamming the door shut on the concept, Tamny writes, “Those businesses that don’t satisfy market demands are starved of the resources they’re attempting to deploy so that someone more skilled can replace them.” Think Friendster instead of Facebook, something he points to on several occasions. Can you see yet what Tamny is doing? He is taking the everyday, all the issues of our time, and showing how even the slightest meddling by the Fed and those who think they know best, often make the problem worse, or it certainly keeps the problem from going away of its own accord. Most readers here realize that government cannot spend us to prosperity, nor can it spend us out of poverty. Government truly cannot stimulate the economy, as Tamny points out, “Federal spending isn’t stimulative, simply because Congress can only spend what it’s extracted from the real economy first. When Congress doesn’t spend, or better yet, when it spends a lot less, the real economy can allocate what Congress doesn’t consume to all manner of market-disciplined economic ideas.” Tamny later writes, “Governments once again can spend only what they have taken from the private economy first, and they deploy those confiscated resources much less productively. This isn’t speculation or ideology; it’s fact.” If you see a better summation than this somewhere, please point it out. The “end the Fed” crowd will want to read this book, arm themselves with facts, utilize the simplified arguments and great examples, and consider changing tactics in swaying public opinion. The “end the Fed” soundbites have never been simple enough or short enough. And there are never specific examples of what ending the Fed would mean. There has never been a way to make ending the Fed relevant to the lives of real, ordinary people. This book changes that. Tamny helps make sense of the problems regarding the Fed, in ways that are relatable to all of us. The anti-Fed fighters should use these arguments and facts to further their cause. Who Needs The Fed?also points out that ending the Fed is not the answer to problems caused by burdensome government, it is simply one of the the answers to how we can live more free and more prosperous. At such a point that the Fed is “ended”, there would still be work to do. For now, the work includes getting this book, reading it, sharing it and putting it to work for us. Ending the Fed starts with asking the question, “who needs the Fed?” Tamny’s answer is thus a fantastic answer to that question. The alternative? Well, it might include something Tamny mockingly eluded to as the “Central U.S. Hamburger Authority” setting the prices of hamburgers for Burger King and McDonald’s. Who Needs The Fed?is not a dense economics book like the macro or micro economics of our youth. This book is written much more clearly than those old textbooks, and is actually interesting. The many rather short chapters make their case and then move along to the next. Tamny’s utter disdain for the Fed is both evident, and humorous along the way. But his book is not an angry diatribe, instead it is a fact-filled, example-laden approach to understanding a complex entity. John Tamny’s credit has skyrocketed upward with this book. Read the book, you will know what that means, and you will learn a lot more along the way. I read this review in hopes of finding at least a basic summary of his thesis as to how a fiat currency is to be operated, or, if not, replaced by a gold-standard or commodity standard or some other system. The usual arguments (e.g. from Ron Paul and others) are, in my view, at best simplistic and at worst reckless. This review does not address substance but rather, I am sorry to say, consists of fluff. It makes me doubt that either the author or the reviewer has any understanding of the issues, beyond, perhaps, the most superficial. Thanks for commenting Stephen. Tamny’s book is 180 pages long. I’d like to suggest you find a copy and open it to any chapter, you don’t have to have read any particular chapter to understand the others. Enjoy, and I hope you find your way back here. Tamny does answer your question(s), but it’s not my place here to give away the entire book. So, what you want is for the reviewer to read the book, and write a “short Cliff Notes” for you so that you don’t actually have to read the book yourself. The thing most correlated to prosperity in all its forms, is freedom. That means if we want prosperity, we need to limit/minimize government to defending our lives, our property, our liberty and our pursuit of happiness from those that would harm us. Unfortunately, it’s against the interests of those in government to teach this fact, which is why government schools don’t teach it. I thank Tamny for his clear, educational, and entertaining prose making exactly this point, or the point that any government intervention in free markets makes us less prosperous, including the intervention of the Fed in money. Thanks for the comment. I don’t disagree with any of it.